Ahhhh, autumn – most folks’ favorite time of year. Spoiler alert: it’s ours too! Since we’re a year-round dropzone (operating only on the weekends from November through April though), WNY Skydiving gets to enjoy everything the New England seasons have in store… and we’d like to share the benefits of skydiving in fall with everybody we meet. Skydiving views are most certainly a matter of personal taste, but hear us out: There’s a reason the New England fall colors have been sending poets into happy fits for hundreds of years. All those changing leaves look even *better* from altitude! After spending all summer looking at lush green from overhead, it looks in the fall like nature has drawn a bright red-and-orange blanket up to her chin. It’s stunning. Another fall skydiving bonus is a little less obvious, but just as lovely: since there’s no more of that oppressive summer heat, you’ll be more comfortable during your experience. Skydiving in fall means a more pleasant wait, as well as a more enjoyable ride in the airplane. Nice, right? Oh, and one more thing: because the humidity is gone, the fall season usually brings us better visibility. Most of our skydivers like to jump in the fall because the experience is a little more chilled-out. Our upstate New York skydiving center is a popular place, and those summer weekends can feel like a block party! 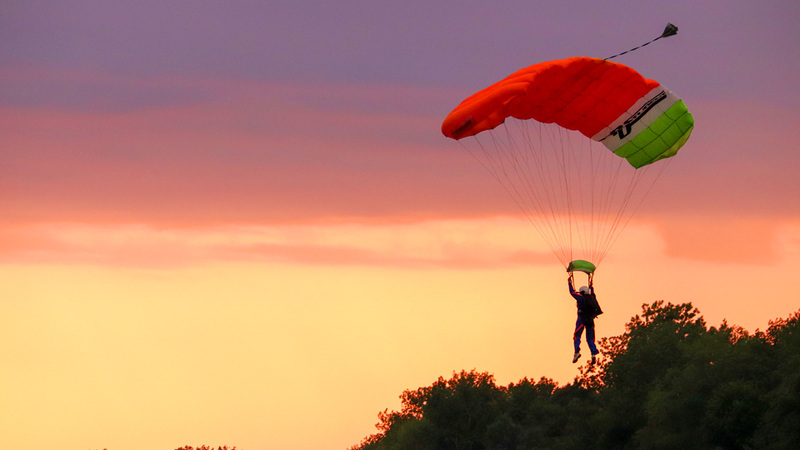 If you’re a fan of a less crowded, even-more-personal experience, fall skydiving may be just right for you. 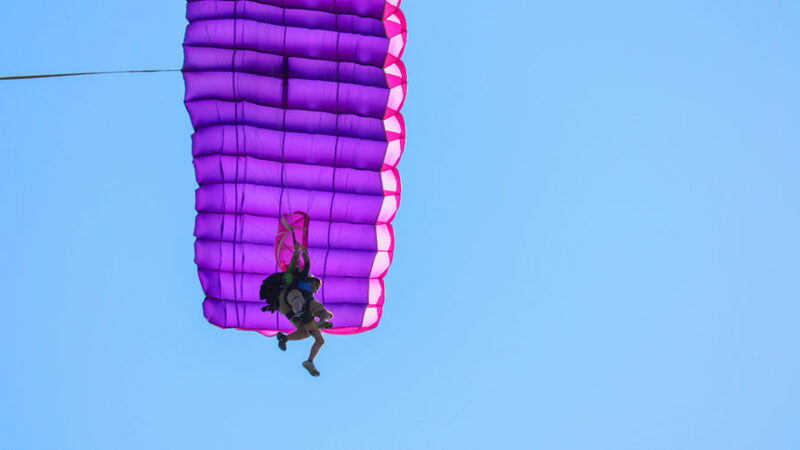 Want to check out a couple of amazing fall events at WNY Skydiving? Come join us! We’d love to have you. There’s nothing that says “fall skydiving” like a pumpkin-drop and costume-jump day – and we certainly indulge. Come and watch our licensed jumpers celebrate spookday in high-flying style on October 27th. The Fly-In helps to keep our beautiful Pine Hill Airport in top-top shape, but it’s so much more than just a fundraiser. It’s a treasured tradition, in fact. 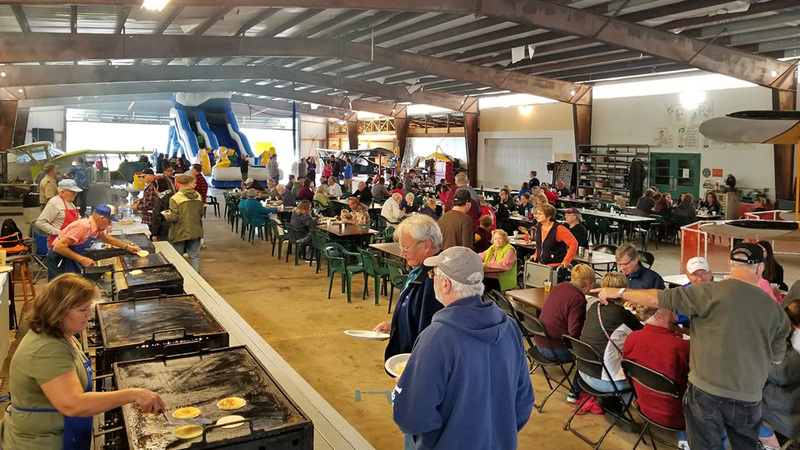 Also, it’s a great opportunity for our local aviation professionals and hobbyists to play, to enjoy each others’ company, to welcome the public onto our beloved airfield, to show off some shiny airplanes and to chow down on a delicious meal. How’s that for fall splendor? You’d be hard pressed to celebrate the run-up to the chilly months with anything more fun than a beautiful autumn skydive at WNY. Don’t be a stranger: Celebrate fall by falling! You know you want to. See you at the dropzone!